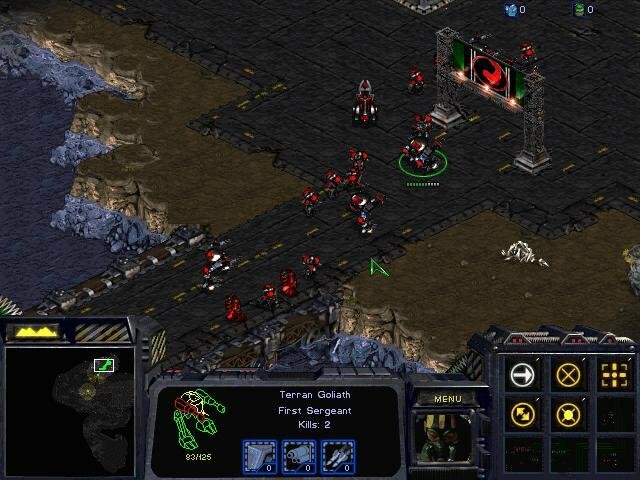 Unlike Brood War, Insurrection, an add-on for Starcraft, was created by developer Aztech instead of Blizzard. 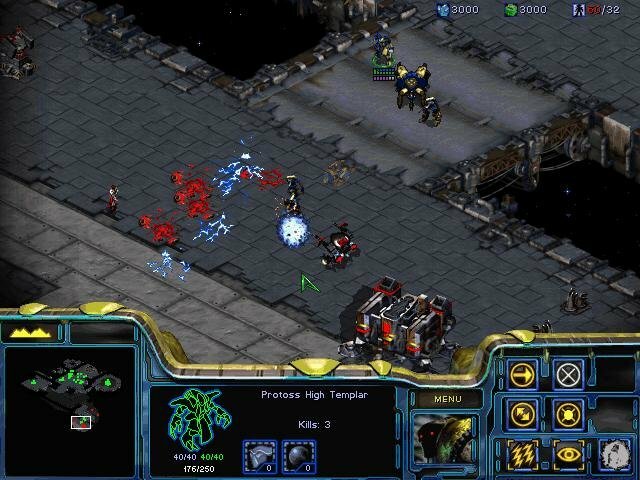 As such, it doesn’t contain any new units, buildings, artwork or cutscenes. 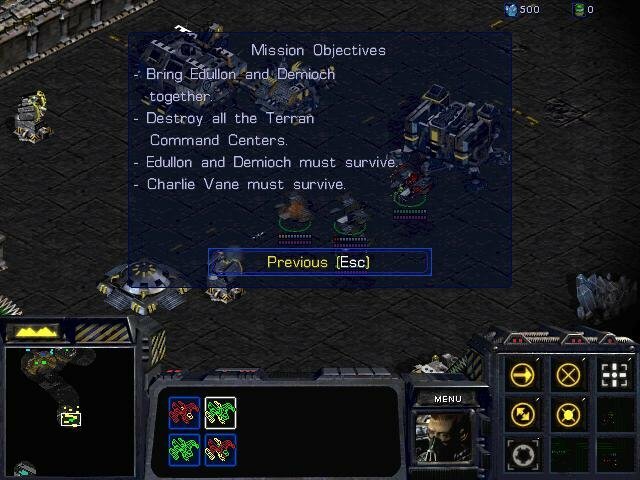 Rather, it takes the standard route of mission discs by simply adding more missions. 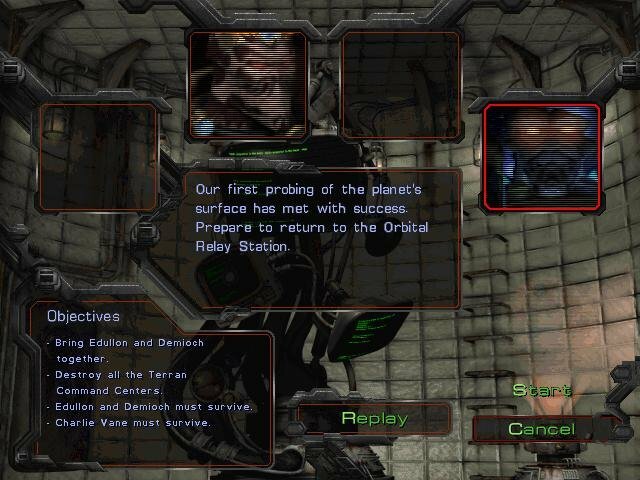 Three 10-mission campaigns, one for each race, complete with their own briefings (the voice work is the only thing truly ‘new’ in this pack) makes up the bulk of what Insurrection has to offer. 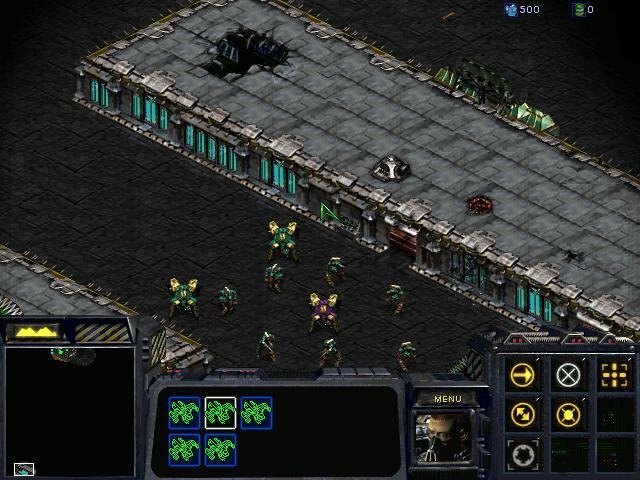 Also unlike Brood War, Insurrection is very awkward to run – you have to install the thing, open the original StarCraft (you need SC pre-installed), select the custom map option, and start the Insurrection campaigns from there. There’s a general storyline that ties each of the campaigns together. 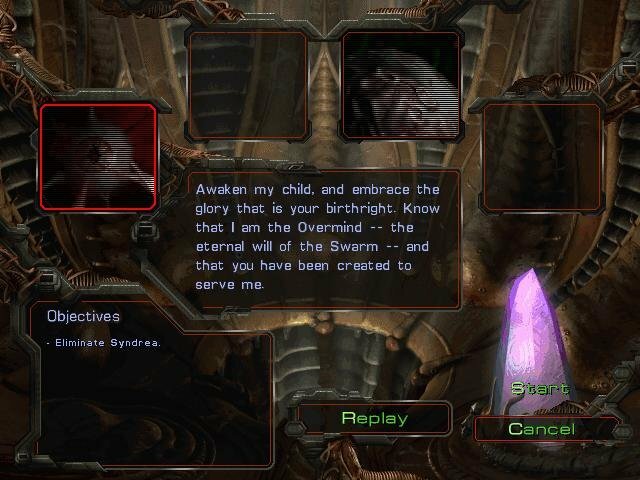 Although not technically a part of StarCraft lore, the story nonetheless follows the same feel of the original game. 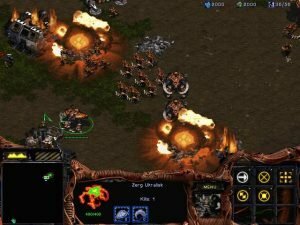 The Terrans can’t seem to get along, the Zerg want to eliminate the Terrans and stop the advance of the Protoss, and the Protoss just want everyone out of the way. 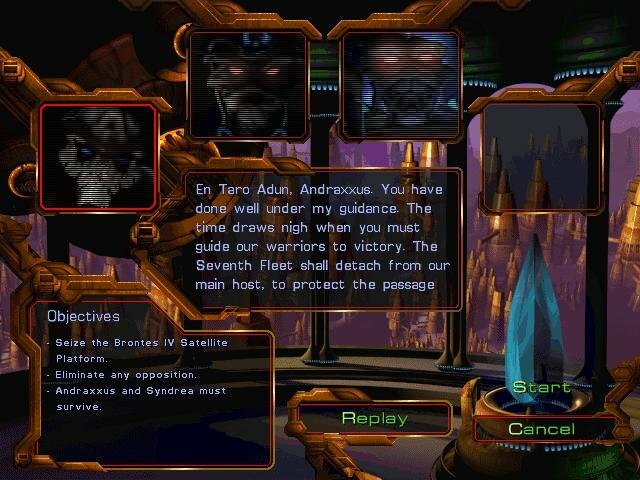 The campaigns are set up to be played one after the other, like in Starcraft. 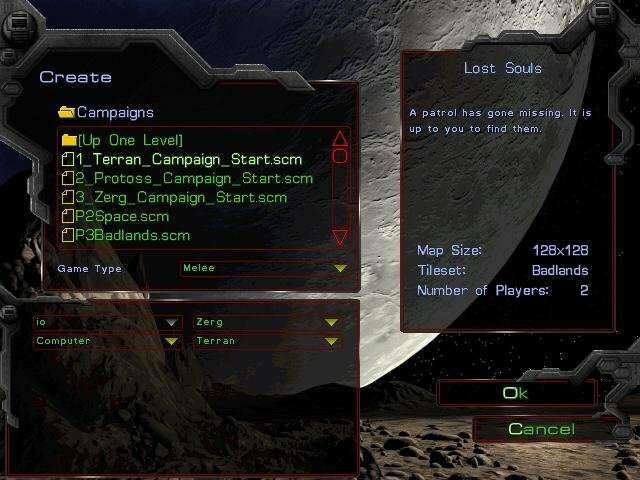 However, all of the individual campaign missions can be found in the folder so you can not only jump around between campaigns, but can play any of the 30 missions anytime you like. The game also offers over 100 multiplayer maps – more than anyone really needs. 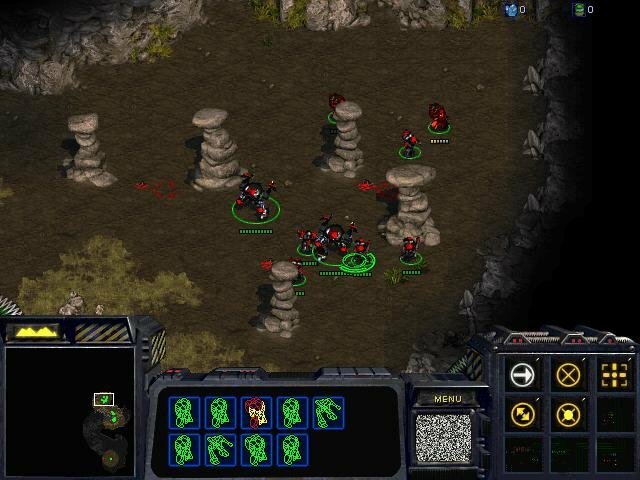 The number of players included can range from 2-8 and may have any combination of human and computer opponents. 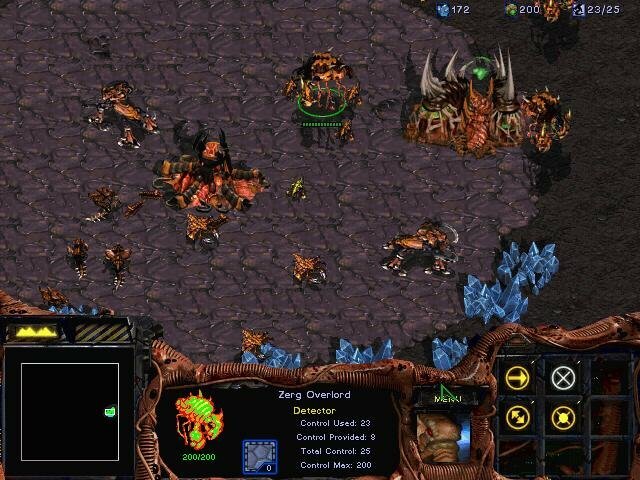 If you just want to play some different single player missions for practice, you can choose the Melee mode and go up against as many computer opponents as you’d like on the multiplayer maps. 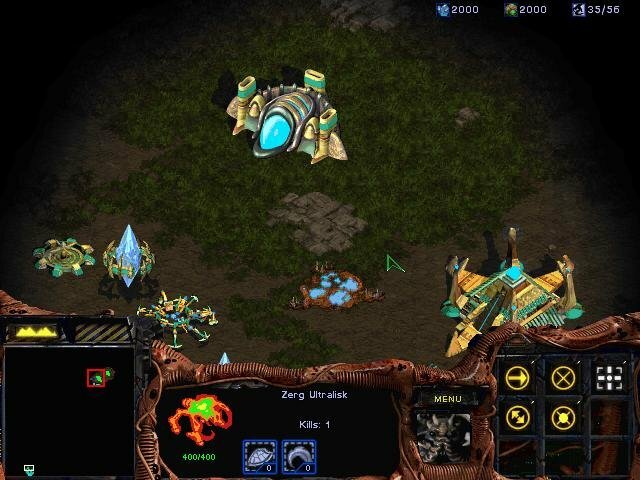 You’ll find that the maps offer a number of different challenges that are grouped into several categories. 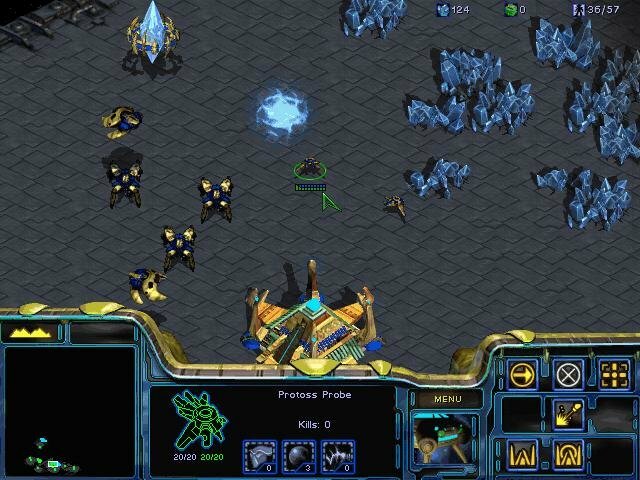 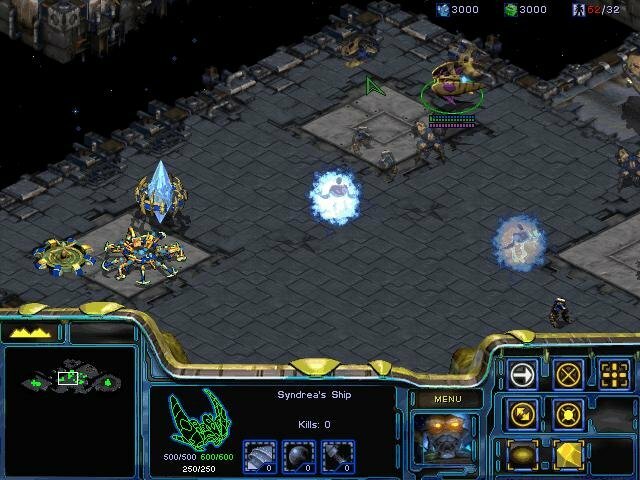 It’s all basic stuff, but if you’re a die-hard StarCraft fan, then I guess it’s either this or re-playing the Brood War campaign.